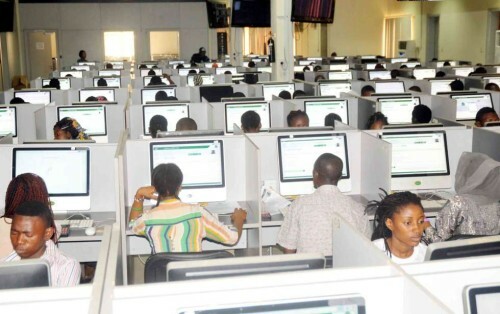 JAMB Registration Date Has Been Announced: The UTME registration for 2019 is expected to begin by January 10th, according to the Board. You should already know by now that the Joint Admissions and Matriculation Board (JAMB) has slated the JAMB registration commencement date for the 2019 JAMB UTME to be January 10th, 2019. The Joint Admissions and Matriculation Board (JAMB) has just recently called on prospective candidates to disregard advertisements in the social media announcing sales of registration documents with some illegal centres and subject combinations. The board’s Head, Media and Information, Dr Fabian Benjamin in an interview with NAN, said that over 700 centres have so far been accredited for the conduct of the 2019 Unified Tertiary Matriculation Examination (UTME) is scheduled to commence on March 16th, 2019. According to JAMB registrar, Professor Oloyede, the sales of form will start on the set date and is expected to last for 6 weeks which means the registration period will last until February 21st, 2019. Prof. Oloyede also disclosed that the board will not allow Cyber Cafe operators to register candidates because they are extorting candidates and overcharging them and also engaging in services that they do not have the capacity to do. The announcement was made by JAMB’s Registrar Professor Oloyede during a meeting with owners of JAMB Computer Based Test Centres at the University of Lagos. The Registrar has assured the public that the JAMB exams will not clash with the coming 2019 Elections. Prof. Oloyede had initially announced January 3rd as beginning date for the sale of forms but changed it to January 10th, 2019 following appeal by the CBT operators for more time to complete their online network test.